Welcome to Saturday Spotlight. 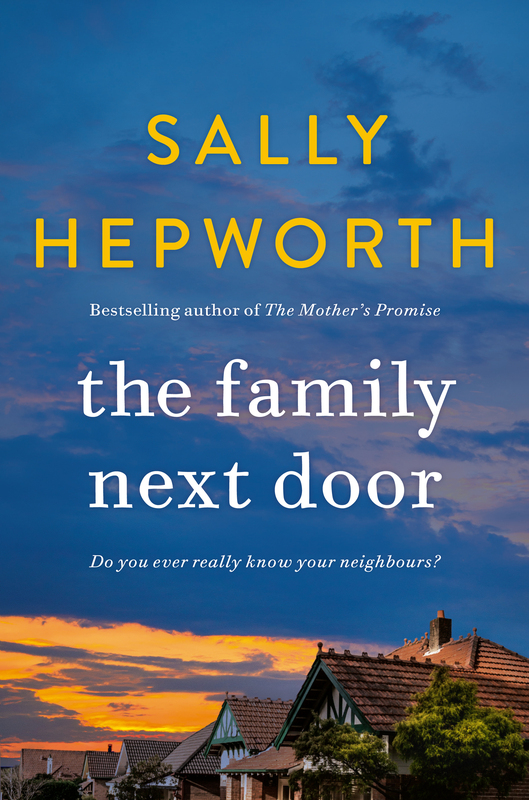 Our guest today is Sally Hepworth, talking about her latest release, The Family Next Door. 1. There are some very specific issues brought into the light in The Family Next Door. What drew you to them? With each of my books I have always focused on an area of women’s health. In The Secrets of Midwives I focused on birth, in The Things We Keep I focused on Alzheimer’s, in The Mother’s Promise I focused on Ovarian Cancer and Social Anxiety Disorder … and in The Family Next Door I focus on Post Partum Mood Disorders. One of the reasons I decided to explore Post Partum Mood Disorders was that I was pregnant at the time I started writing it, so naturally all baby-related things were on my mind. 2. Can you tell us a bit about the evolution of each character? Who came first when you were in the initial stages of developing the story? Were they already a firm picture in your mind before you started writing or did they develop a personality of their own as the story progressed? I tend to start with plot when I write a book and once I have an idea of what is going to happen, I try to create characters that will be challenged by that plot. For The Family Next Door, I started with the character of Isabelle. I felt like I had a good grasp of her before I started writing, but characters can often surprise you while you write, and I must admit Isabelle surprised me once or twice. 3. Who is your favourite character from The Family Next Door and why? I have affection for them all. Essie is sweet and funny, Fran is whip-smart and wry, Ange is so eager to please. And Barbara is kind of the mother everyone wants! All of the characters have appealing traits … and they have some not so appealing ones too. 4. 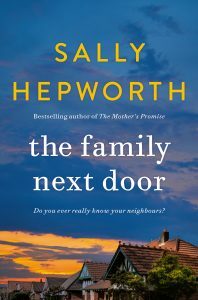 What is your favourite scene from The Family Next Door and why? I enjoyed writing the part where Barbara took Mia on the roadtrip. While I had planned out the book to an extent, what happened on that trip was a surprise to me as well so that was fun. 5. Have you ever had to deal with a situation where someone feels they recognise traits of themselves in one of your characters? 6. Where do you normally write? Is it in the same place every day or are you an all over the place writer? Usually I write from the library, but I can write anywhere. From home, from a café, in the car while I’m waiting for my daughter to finish gymnastics. One of my favourite places to write is in bed on a weekend with a cup of coffee (when I can get the kids to leave me alone for a minute or two. Needless to say this is a rarity!). 7. What other genre would you like to try your hand at writing and why? At present, I’m happy with this genre, but I’m open to writing in other genres in the future. There is something appealing about crime, I must admit. 8. Can you tell us something about yourself that not many people would know? I have had braces on my teeth twice because I didn’t wear my plate after the first time. The horror! Now, I have a metal plate on the back of my front teeth just to hold them in place. 9. 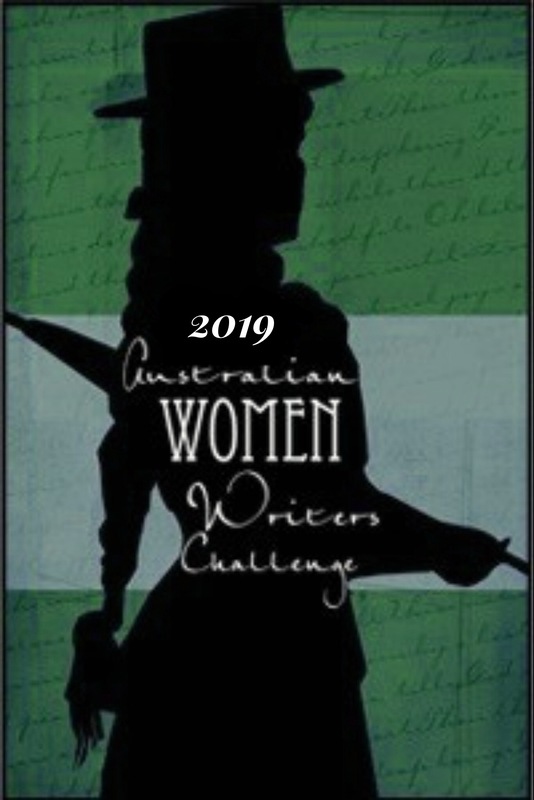 How has being Australian AND a woman impacted on your writing and/or writing career? I’m not sure that it has. While I write about women in Australia, my stories are universal and I think they can be enjoyed by people of either gender, anywhere around the world. 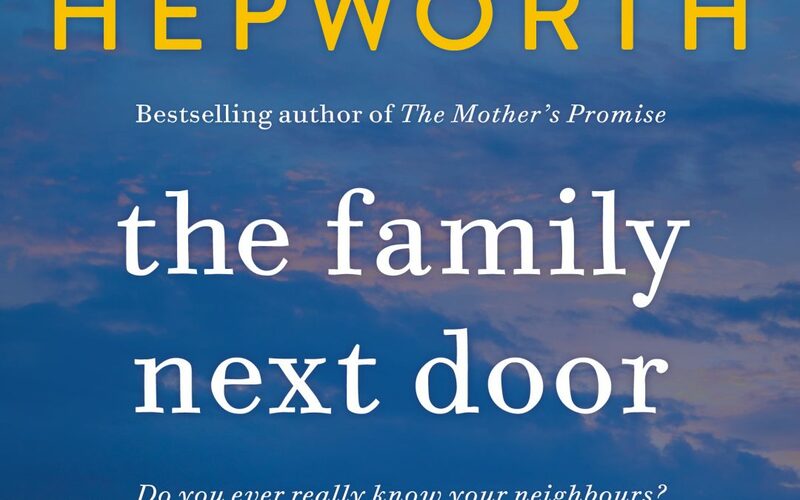 The Family Next Door was published on February 27th by Pan Macmillan Australia. Do you ever really know your neighbours? The safest suburbs often hold the deepest secrets. Such is the case for Essie, a mother of two. In a moment of maternal despair she once made a terrible mistake, one she will always regret. Essie has since recovered, but she fears what may still lurk inside her. Her neighbours in Pleasant Court have their own issues. Driven and organised, Ange appears to have everything under control, except perhaps her husband. Practical, intellectual Fran can’t stop running. For exercise, or something else? One day in February, during an unprecedented Melbourne heatwave, someone new arrives. Isabelle is single and childless, when everyone else is married with kids. She is renting, when everyone else owns. Her job is mysteriously vague. Strangest of all, Isabelle is very curious about her neighbours. Too curious, some might say. 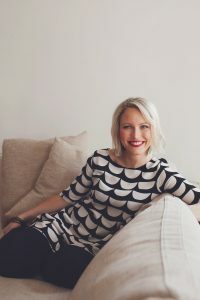 Sally Hepworth has lived around the world, spending extended periods in Singapore, the UK and Canada, where she worked in event management and human resources. She is the author of Love Like the French, The Secrets of Midwives, The Things We Keep and The Mother’s Promise. Sally lives in Melbourne, Australia, with her husband and children.